Elhiem Figures are the Official Licensed Miniatures for 'Ambush Alley's: Force on Force' modern combat rules. 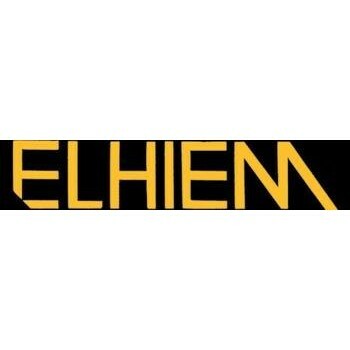 All Elhiem miniatures are 1/72 scale (20mm in wargame sizes) Figure ranges include World War II, Vietnam (French Indo-China), Cold War (1945-1989), Modern Africa, Asia, and the Middle East (1945-1990), Modern War (1990 to the present), Pulp, Scion Sci-Fi, Horror Adventurers, Zombies and Urban Survival. 20mm Modern Elhiem US x3 1970's -80's Cold War US ARMY/USMC firing DRAGON ATGM..
20mm Modern Elhiem Australians x3 1970's -80's Cold War US ARMY/USMC M16A1 (30 rd Magazine) + M203 G..
20mm Modern Elhiem US x3 1970's -80's Cold War US ARMY/USMC M16A1 (30 rd Magazine) Advancing in M1 h..
20mm Modern Elhiem Australians x3 1970's -80's Cold War US ARMY/USMC M16A1 (30 rd Magazine) NCOs in ..
20mm Modern Elhiem Australians x3 1970's -80's Cold War US ARMY/USMC M16A1 (30 rd magazine) Skirmish..
20mm Modern Elhiem US x3 1970's -80's Cold War US ARMY/USMC M16A1 (30 rd magazine) with LAWs in M1 h..
20mm Modern Elhiem Australians x4 1970's -80's Cold War US ARMY/USMC M60GPMG teams in M1 helmet, Ali..
20mm Modern Elhiem US x3 1970's -80's Cold War US ARMY/USMC moving with DRAGON ATGM..
20mm Modern Elhiem US x3 1970's -80's Cold War US ARMY/USMC moving with STINGER AA misile..
20mm Modern Elhiem Australians x4 Early Cold War US Patrol Fire Team in M1 helmet, Alice webbing arm..
20mm Modern Elhiem US x4 1970's -80's Cold War US ARMY/USMC Platoon/Company HQ..
20mm Modern Elhiem US x3 1970's -80's Cold War US ARMY/USMC sniper firing M21..
20mm Civilian Elhiem x2 Fashionable 1970's ladies one with a pistol..
20mm Civilian Elhiem x4 Fashionable 1970's teens (2 male, 2 female) and x1 (big) Dog..
20mm Vietnam Elhiem x4 ARVN 1968 Command includes x1 on walkie talkie, 1x RTO, 1x Officer talking on..
20mm Vietnam Elhiem x7 ARVN 1968 M16 South Vietnam Army squad armed with M16s, M79 and M60. Can also..
20mm Cold War Elhiem x2 British BAOR Dog Handler with Sterling SMG and random dog from EL P-21..
20mm Cold War Elhiem x2 British BAOR on Patrol..
20mm Cold War Elhiem x2 British BAOR Crouching Patrol poses..
20mm Cold War Elhiem x2 British BAOR L7 (BREN) patrol armed with Bren and SLR..
20mm Cold War Elhiem x2 British BAOR Crouching poses. 1x LAW and 1x Sterling SMG..
20mm Cold War Elhiem x5 British 105mm gun crew with a mix of no webbing and webbing..
20mm WWII Elhiem x4 British Army Assault Vest Fireteam 1 in skirmish poses, 44 pattern netted and sk..
20mm Cold War Elhiem x1 British Prone Casualty..
20mm Cold War Elhiem x5 British 4 Officers in belt kits and various soft hats. 1x Sarge pointing swi..
20mm Cold War Elhiem x3 British BAOR on Patrol..